People have been gambling since Antiquity. Soon after the advent of the Internet and technological expansion, gambling moved online. From a tiny $5-million market in the beginning of the 2001, online gambling today is a staggering $500+ billion industry. And now, you have a chance to gain a considerable share of these numbers by taking part in the GIFcoin ICO. The GIF in GIFcoin means Gambling Investment Fund. The ground-breaking ICO project provides investors with the chance to gain a juicy share of the gigantic profits of the gambling industry. Different from the majority of current-day ICOs, GIFcoin is supported by an already working and profitable website — VitalBet.com. 2) Promoting the VitalBet brand. 3) Expanding it into the industry’s most attractive market countries. After the success of these marketing and advertising steps, VitalBet’s customers and profits will increase dramatically. 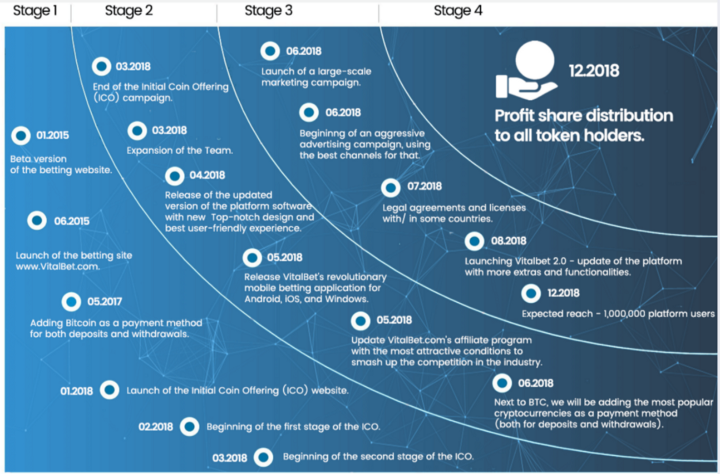 To return the favor for the investors’ support during the GIFcoin ICO, VitalBet is going to share 80% of its net gambling profits once a year with its token holders. VitalBet came to fruition in 2015 and two years later, in 2017, it introduced Bitcoin as a payment method. The online bookie possesses some of the industry’s most eye-catching features, including sports betting, virtual sports, eSports betting, IN-play betting, live casino, and casino games. Immediately after the GIFcoin ICO, VitalBet will introduce the live stream feature. And by the end of 2018, other alternative cryptocurrencies will be added as payment methods, as well as for deposits and withdrawals. 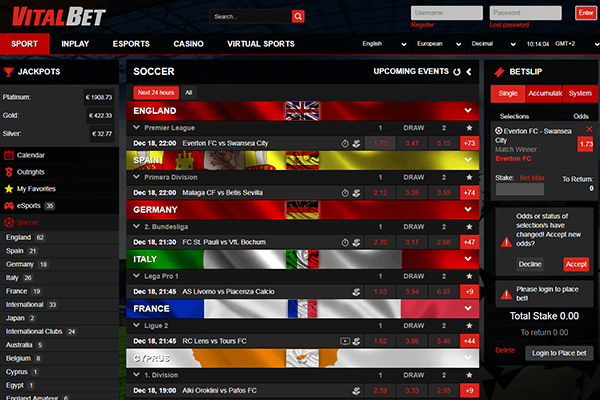 Sneak peek into VitalBet’s website. In some countries, you might need VPN or proxy to access it. 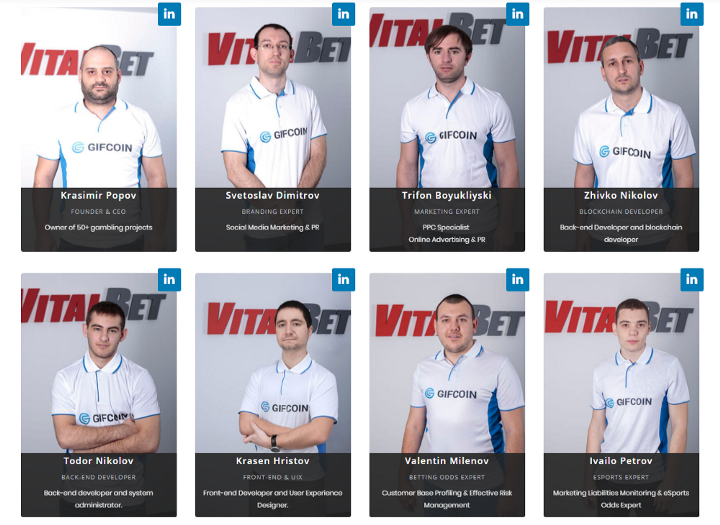 GIFcoin and VitalBet’s team comprises skilled experts and professionals who have considerable experience in online gambling, sports marketing, and internet betting. Our CEO is a proud owner of more than 50 projects related to online gambling. Other members of the team include seasoned veterans in advertising, branding, marketing, Blockchain development, odds, eSports, as well as affiliate marketing. GIFcoin has set its eyes on a $500 billion+ market. For that reason, it initiated an Initial Coin Offering campaign to raise funds for VitalBet’s platform. Throughout the ICO period, there will be a total of 300,000,000 GIF tokens in circulation. 2,100,000 users X $360 lost wagers amounts to $756,000,000. This will be our revenues. We plan to have 45% net profits. 45% out of $756,000,000 amounts to $340,200,000. As we mentioned, VitalBet is going to share 80% of its net profits, which is equal to $272,160,000. Once a year, this amount will be distributed between the 300,000,000 GIF tokens in the form of a profit share. In simpler terms, this means that the price of one GIF token will be $0.9072. Let’s imagine the following situation: You have joined the ICO and during it, you have purchased 10,000 tokens. 10,000 X $0.9072 is $9,072, which is going to be your annual profit share. This sum will be paid in Ethereum in your ETH wallet at the end of each calendar year. Additionally, at GIFcoin’s website, you will be able to check your investor’s dashboard and keep an eye on your profits. GIF — Ethereum ERC-20 token. Pre-Sale start: Late February 2018 (a 15% bonus will be added during this period). Pre-Sale end: Beginning of March 2018. Token price on the first day of pre-sale: 1 ETH = 11,500 GIF. Token price during the official ICO sale: 1 ETH = 10,000 GIF. Ø We highly recommend using MyEtherWallet (no download required) or MetaMask (a Chrome browser add-on). Ø DO NOT USE any of the following wallets to partake in the GIF Token distribution: Bitfinex — Bittrex — Bitstamp — Cex.io — Coinbase — Exodus — Jaxx — Kraken — Poloniex. Ø You can buy GIF tokens ONLY with ETH. Ø GIFcoin tokens are ERC-20 resellable. It is also possible to transfer the tokens to exchanges and wallets that support the ERC-20 standard. Ø All tokens that are not distributed throughout the GIFcoin ICO will be destroyed. Ø Our team is negotiating with the most popular exchanges to feature GIFcoin.